I really love — 1 — clever hacks and — 2 — pushing the limits of CSS. Many people don’t realize how powerful it is (especially when combined with the preprocessing prowess of Sass). This post combines those two loves. While it may or may not be something your next client will ask for, there is value in experimenting and pushing boundaries to really understand a language. You too, can make games with just CSS! 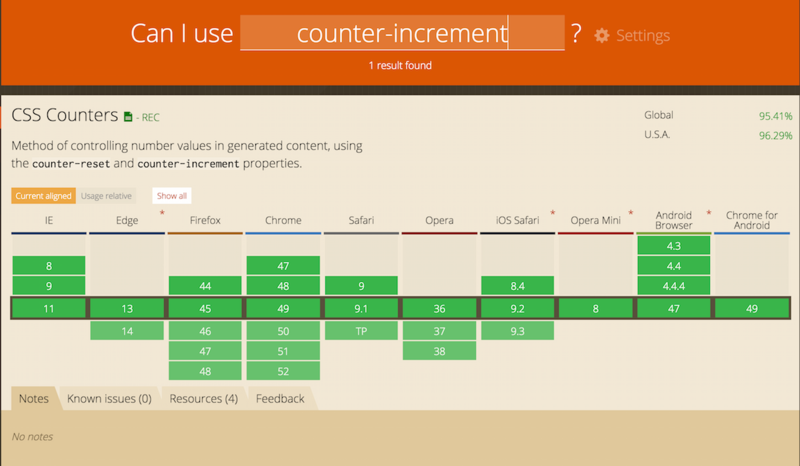 Codrops has a great CSS reference that includes this property. I'd recommend you check it out. In the above code, each <h1> element inside of the section will be counted up by the value of 1 (this number can be customized, as we will cover soon). We can set the counter-increment on every input element that has the global attribute of checked (shown above) to count the number of checked checkboxes. The user dynamically adds and removes checks from this group via simple clicks, and the counter-increment responds accordingly. Note: It’s important to include the element which displays the counter value after the elements which you are counting in the DOM order. I did all of those animations with simple CSS transitions and animations, but the Web Animations API is going to provide for a lot more control capability in the near future. See the Pen Multi-Point Target by Una Kravets (@una) on CodePen. Now, you can get really crazy with this by writing some “checkbox logic” — AKA some code to check for specific patterns. You can do this by applying code based on the order of checkboxes using the :checked and :not(:checked) pseudo selectors. For example something like :checked + :checked provides true as an attribute selector that has a checked element directly next to another checked element. :checked + :not(:checked) + :checked is true for an “on, off, on” pattern. See the Pen Pure CSS Tic Tac Toe! by Una Kravets (@una) on CodePen. See the Pen CSS: Binary Writer by Jake Albaugh (@jakealbaugh) on CodePen.